Growing an orchard can give immense satisfaction — especially when consuming the ripened end product. It can also be a complex and expensive operation which is only marginally profitable when producing on a small scale. Before setting up or investing in a small orchard there are a number of factors you should consider such as climate, time, money, skills and knowledge. Lifestyle choice: do you really have the time? The thought of semi-retiring on a small property and growing fruit to provide some income can be an attractive one. However, a small scale orchard is hard physical work with long hours and often little profit at the end. As most orchard work is carried out during spring and summer, holidays will need to be arranged around these peak periods. Legal considerations: are you allowed to develop an orchard in your area? Before establishing an orchard, development plans should be discussed and approved by your local government authority (LGA). There are limits on, and/or licenses needed for land clearing, surface and groundwater extraction and fertiliser use in water catchment areas. Development plans will need approval from the Department of Water and Environmental Regulation (DWER). 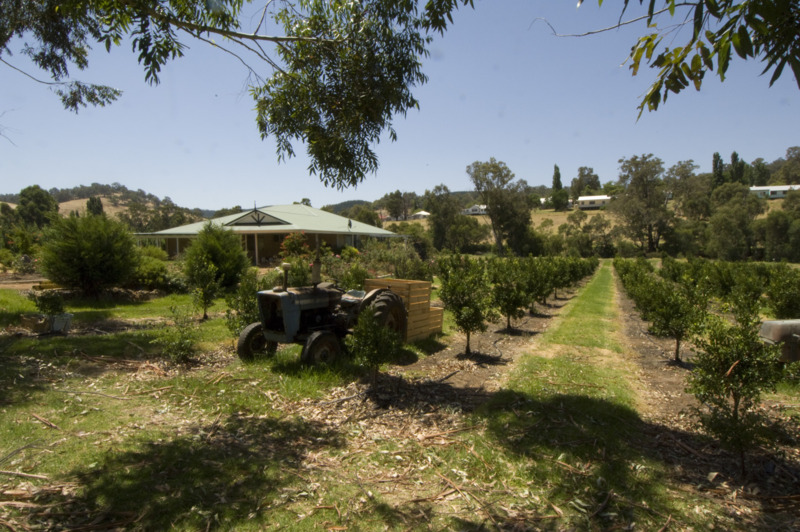 Production factors: is the land and climate right for an orchard? Are the land aspect and soil types on your property suitable? Consider slope, drainage, land fertility, frost risk, physical restrictions (for example rocks) and previous activities carried out on the land. Is the water supply sufficient and is it good quality? Fruit crops require between 3 and 18ML of good quality water per year depending on the growing region, crop type and irrigation design. Excessive amounts of salt can affect growth and productivity. Is the property in an area where pesticide spray won’t drift onto neighbouring properties now and in the future? For deciduous fruit crops, what is the average number of winter chill hours required? If trees are already present on the property, obtain as much information as possible on their age, variety and production history. It may be beneficial to hire an independent professional to report on the enterprise's production potential. Before embarking on a new venture, it is a good idea to talk to neighbours with similar businesses and assess if there are any limiting factors to growing fruit in the area. Budget requirements: do you have enough capital to invest? Marketing - can you sell your crop? Technical skills - do you know how to?